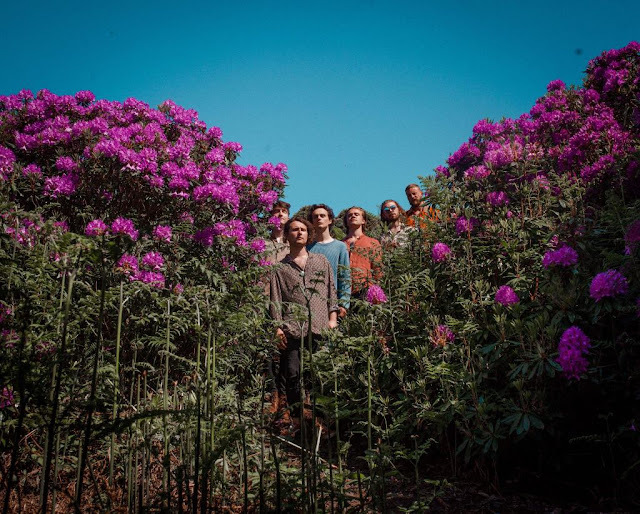 Dublin dwelling six-piece Fat Pablo boldly and triumphantly step into the fore with Shambala, a modern masterpiece both musically and visually. Musically, they're an act hard to be pinned down which is perhaps an extension of their overall non-conformist attitude. Flavours of neo-psych, post-punk, trip-hop and neo-classical theme Shambala as the haunting and tense emotions slowly build to a gripping crescendo. "We imagined the song as this kind of uplifting orchestral piece and approached it in a different manner to other songs we write. We all played really delicately on the recording and focussed specifically on dynamics, making sure we didn't take away from the soul of the song. You kind of get this bittersweet hope in your bloodstream feeling." The vivid and gritty visuals (directed by Hugh Mulhern and produced by Algorithm and Motherland) play out like a feature film, building a narrative parallel to that of the music. Absolutely essential listening and viewing, tune in below.